Maybe you want to know a little more about stevia or have a question about our nutritional information and how it works for you. Send all your questions to our Nutritionist, Alyssa. Alyssa Lavy, MS,RD,CDN is a registered dietitian who believes that food should be satisfying, nourishing and delicious. 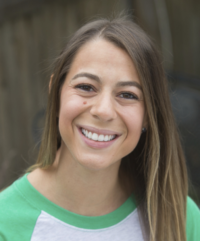 Alyssa received her Bachelor of Science in Exercise Science from George Washington University and her Master of Science in Nutrition and Exercise Physiology from Columbia University. Alyssa is also an ACSM Certified Personal Trainer and has a lot of experience answering your questions. Please give Alyssa at least 24 hours to get back to you. What would you like to ask the nutritionist? What leaf makes Iskream a sweet treat?